We all have that kind of friend, you know the type that you loan $20 to then they disappear. You know the type that shows up with bleached blonde hair because of a lost bet. This kind of friend is the life of the party. This is the type of person you take on a road trip. Perhaps, you aren’t as lucky as me to have this type of friend. My sister, Karli and I are lucky enough. So we did invite our friend Blake on our road trip. He is a 24 hour comedy act. A friend like that sure makes a road trip super exciting. 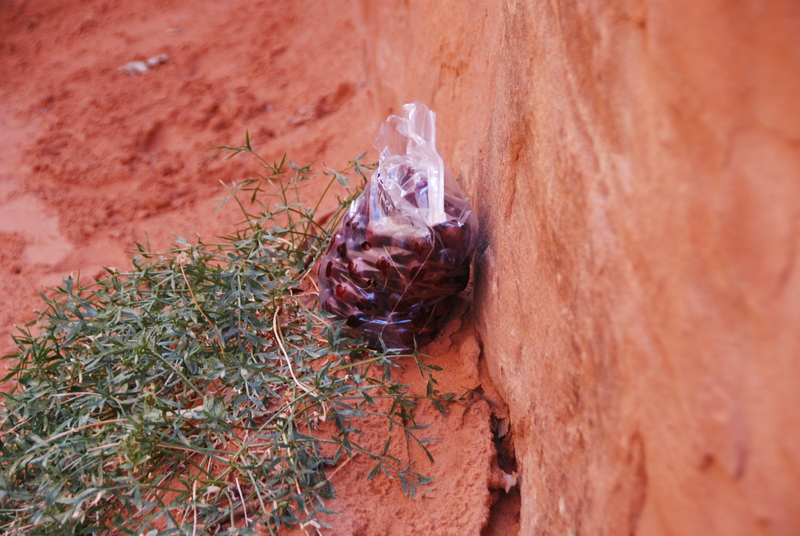 I have always wanted to backpack around Southern Utah. 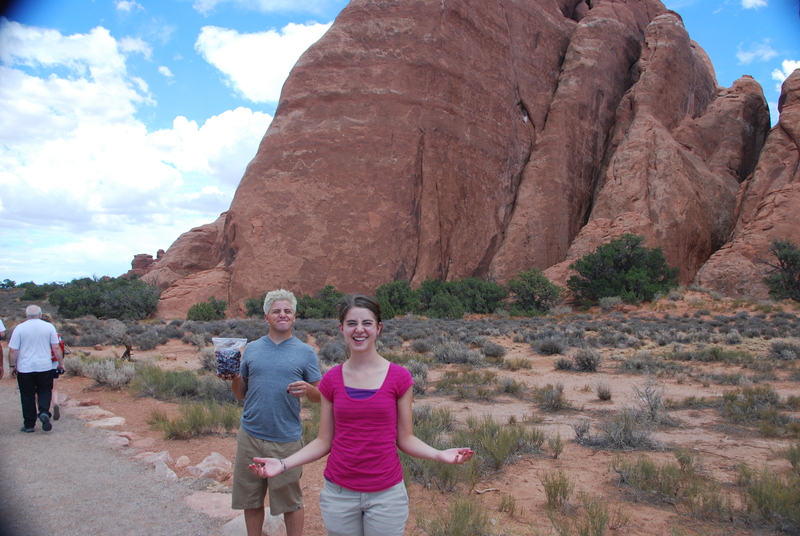 Canyon Lands, Arches, and Moab, you know the drill. In particular I have always wanted to see Cowboy’s Chaps. 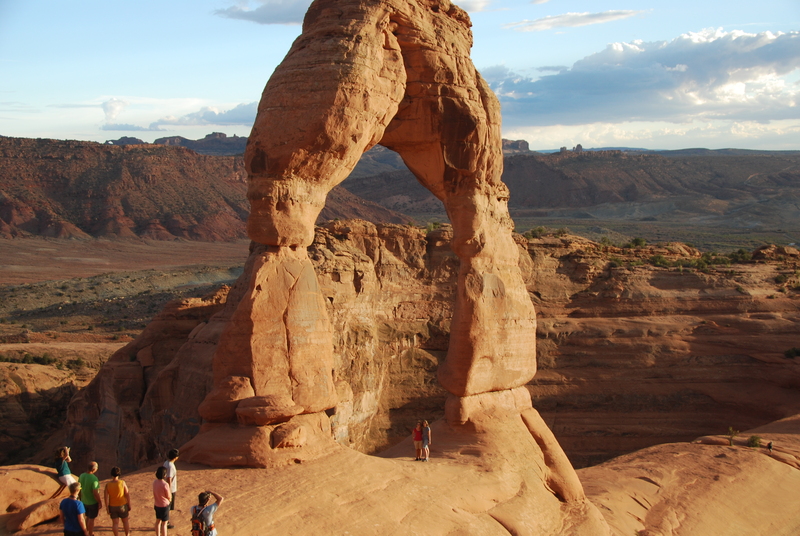 You might know it as Delicate Arch or Ladies Britches. Or perhaps you don’t recognize any of those names at all, but I am talking about the most famous arch of all time, the one that is the face of the Utah license plates. Odd as is might sound, I planned on licking that arch. We took a little weekend road trip to Moab. We pulled directly into Arches National Park after the drive. Utah is hot in the middle of the summer. Why was I wearing pants? We pulled into the visitors center to get a little information, a little water and to change into shorts. Little did I know, that Blake too was looking forward to seeing Cowboy’s Chaps. In fact, he hardly cared about the rest of the arches we passed as we raced through the park. Finally, Karli said “Can we stop and take some pictures?” That was of course one of our main goals, to take some amazing photos of that wonderful place. Blake stopped the car and we took some pictures. I wanted to see the sun set while we were there at Cowboy’s Chaps. We planned it just right so that we would be to the arch before the sun went down. We hiked the longer hike. I thought I was in shape enough to keep up with those two, but Blake and Karli lead the way as I gasped for air behind them. It was a lovely hike. I enjoyed the fact that the trail was covered with several languages and a variety of ages. I feel that Cowboy’s Chaps is beautiful scene that all should enjoy. Karli and I waited for our turn to take our picture. That is when I accomplished my goal. I leaned in and licked Cowboy’s Chaps. Maybe it was just me, but it tasted of sand, wind, salt, accomplishment, friendship, and a hint of cherries.